White is always preferable color for summers. 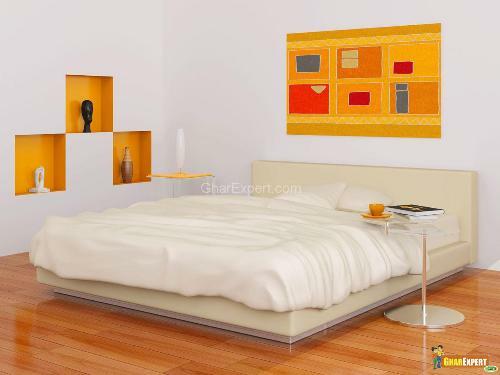 It gives soft and creamy touch to bedroom with different hues of whites. Not for summers, white bedrooms best for winters also. Highlight focal points of bedroom with different tones of white or touch warm colors create cozy effect. It looks pleasing look and creates style home for every season. White is the color of peace and serenity, and therefore, a white bedroom is considered to be decent, calm and inviting at the same time. It sends diversified messages to people regarding faith, purity and warmth. So, if you want your bedroom to be calm, peaceful and aesthetically brought together, you might want to paint it white. Here are a few white bedroom ideas you can consider. The most important part of a white bedroom, aside of its “whiteness”, is the furniture. White bedroom furniture is considered to be a collection of such timeless pieces that add value and class to the bedroom. It can turn your bedroom into a dreamy space because it brightens the room. Generally a Modern white bedroom would show off a white painted bed paired with bedside tables made of oak for generating strong vibes. Multi colored Comforters, pillows, bed sheets are excellent white bedroom decorating ideas that can be used for added vibrancy. But all the colors should be used to such an extent that they do not become dominant i.e. White should not be recessed by any other color. White can be paired with almost all colors, so, it is essential to realize what you want for yourself. Blue, pink, orange, red, black are the most popular colors in furniture to be coupled with white bedroom walls. A white bedroom can be variedly refurbished to fit your desire. White bedroom sets are also a good option while deciding on the furniture because they not only look classy with white walls but also stand out if the walls of the room are of dark and bold colors. Black is the most popular of all the colors that complement a white bedroom design. 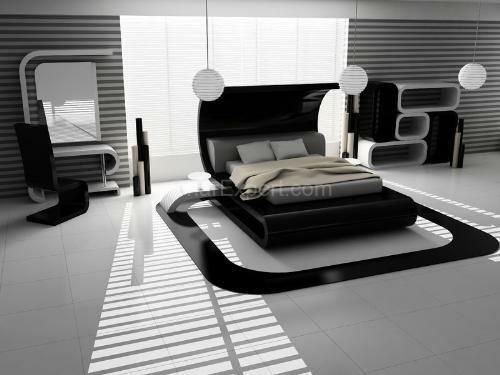 A black and white bedroom looks extravagantly bold yet sophisticated, elegant yet stylish! Most people follow this combination because it does away with the hassle of picking out the best colors from a vast range. Black and white flamboyantly combine together to create a sleek, contemporary ambiance. You can paint your white bedroom walls in both colors simultaneously; keep your white bedroom as it is or, paint the walls black. You can even use wall decals or create your own patterns with white and black paints. For an All-White bedroom, you can consider the following white bedroom ideas for assistance. For instance, in summers, you can put up white drapes on the windows. Try playing with white laces and ribbons in wall hangings and picture frames or wall art for added elegance. White rugs will essentially complement your white bedroom furniture. As the color white indicates the absence of color, your white bedroom readily invites every piece of color to stand out, so, creating a focal point with some color can be a good option.